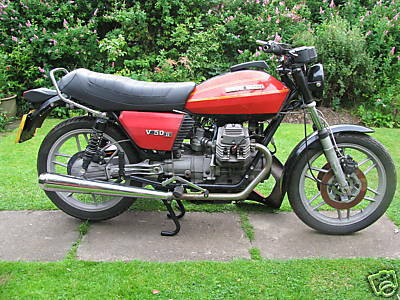 while the v50 monza provided significantly improved performance over the v50, it was still no match for the other sporting 500s appearing at that time. 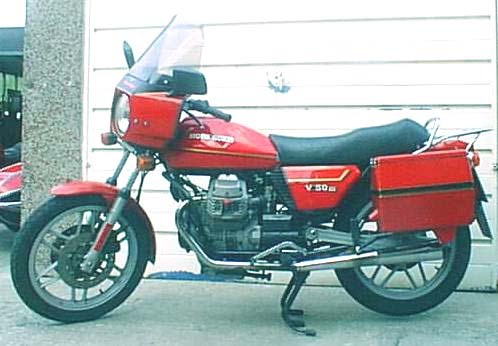 where the v50 monza really scored was in its weight and dimensions. 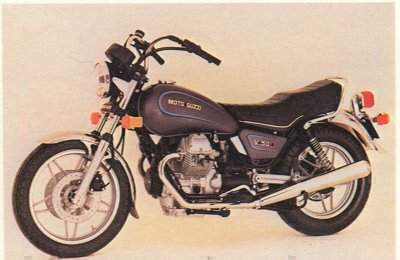 with a 1420mm wheelbase and weighing only 160kg, the bike was tiny - especially compared to the comparable honda cx500 plastic maggot. 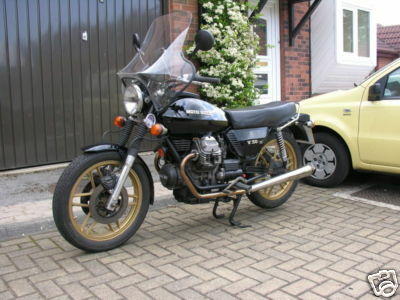 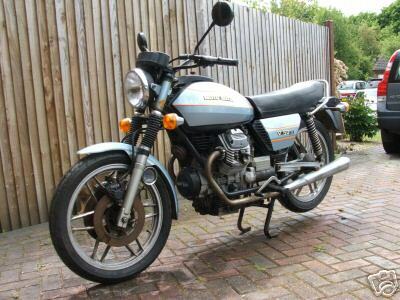 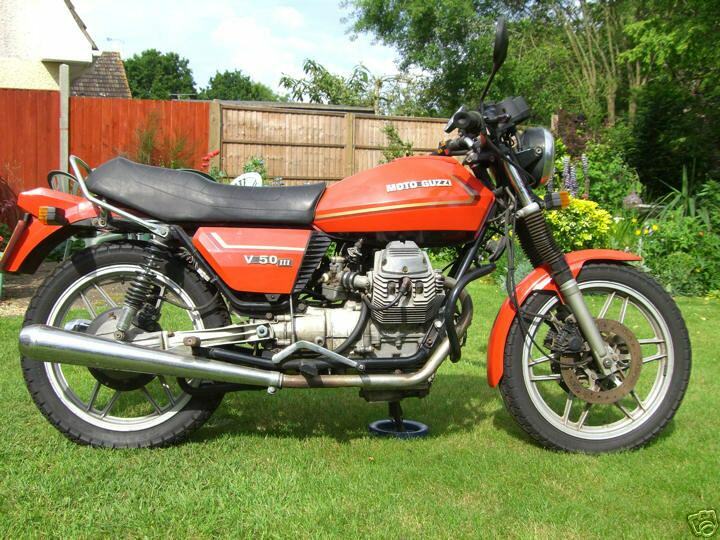 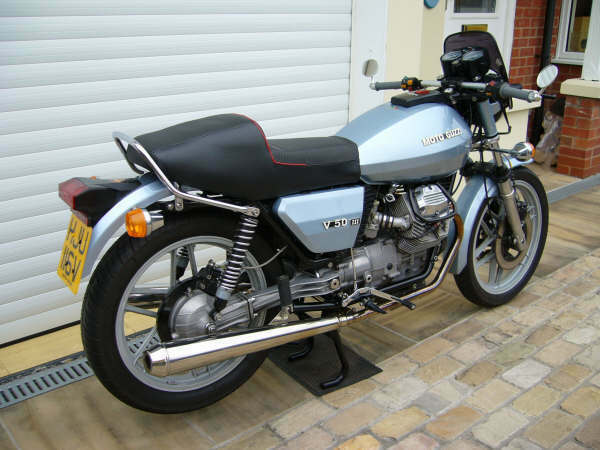 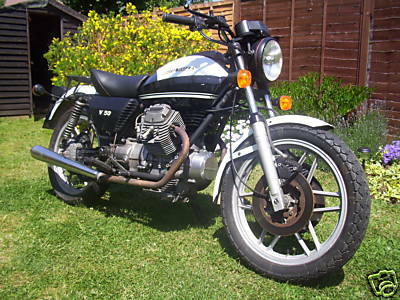 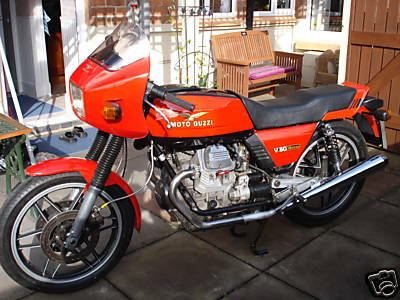 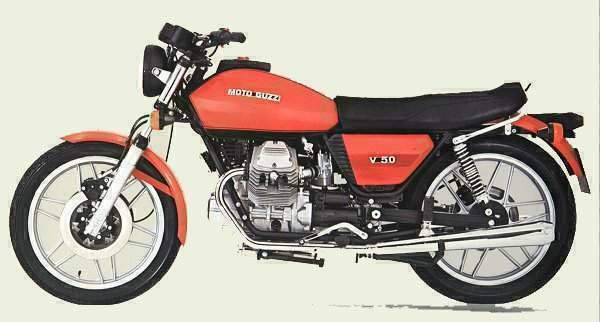 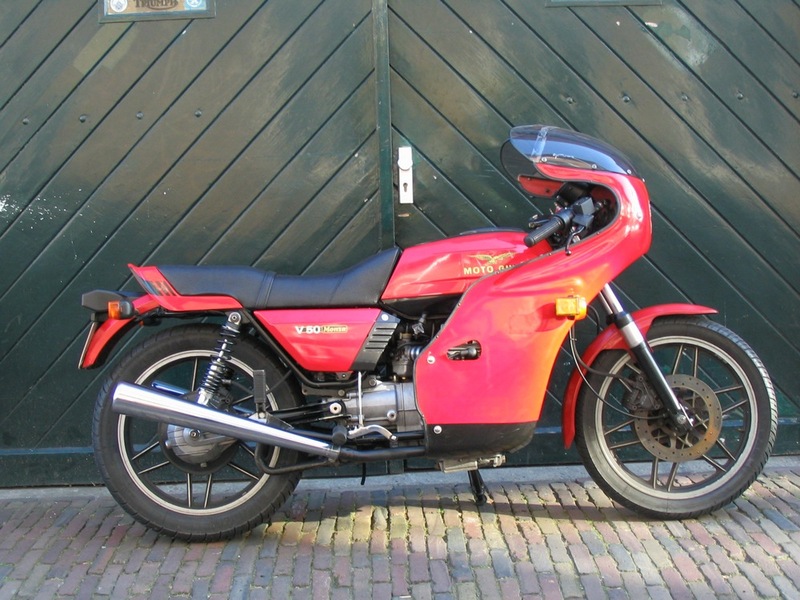 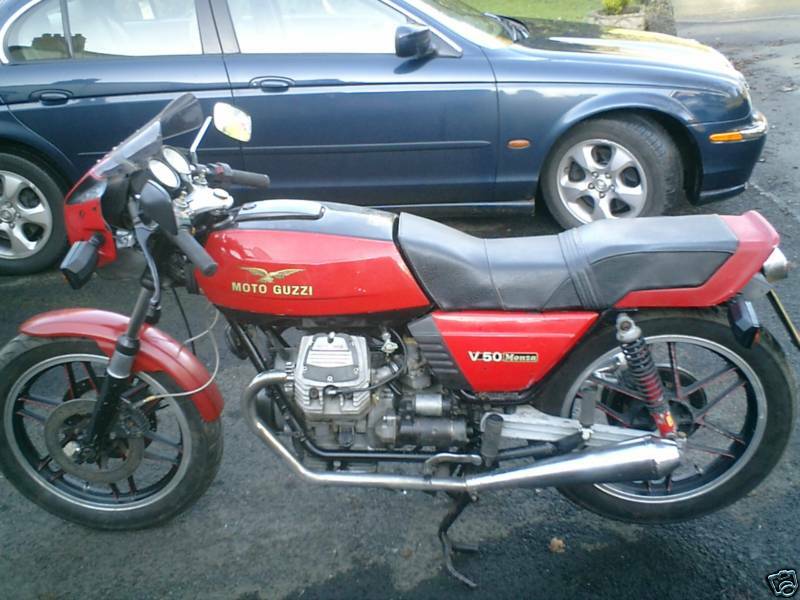 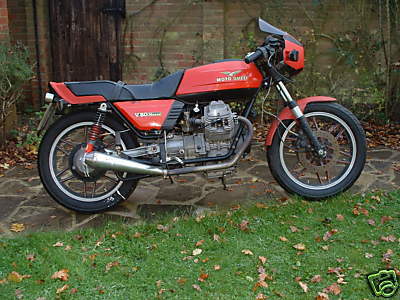 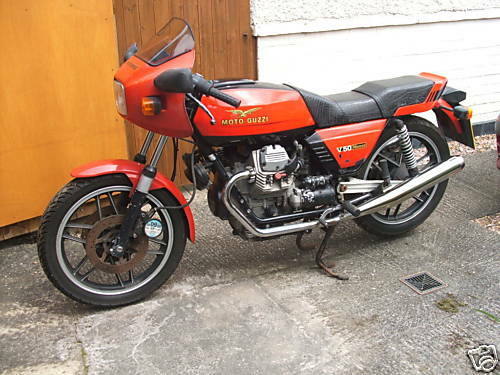 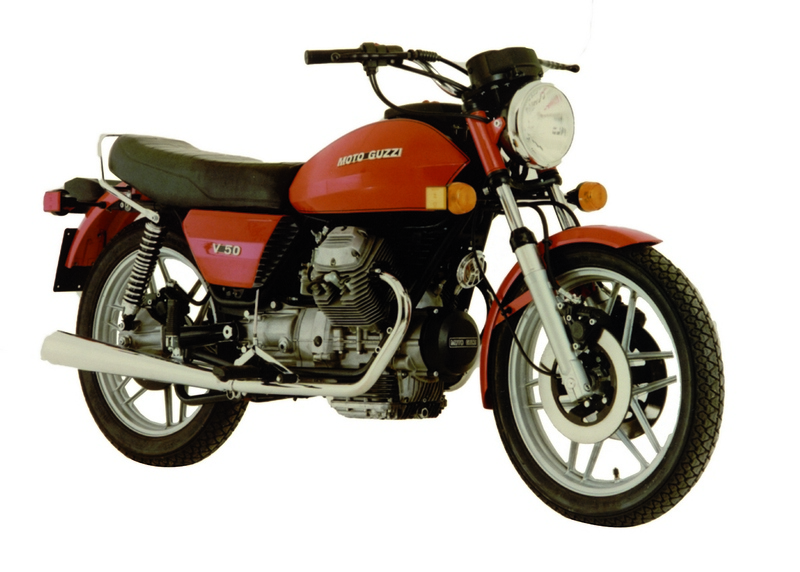 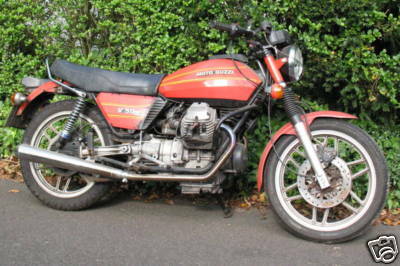 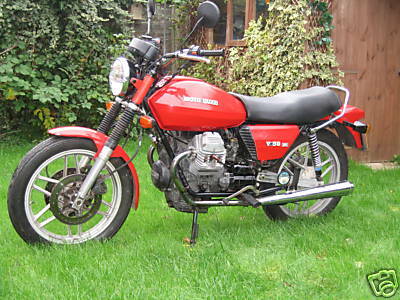 the quest for more power culminated in the introduction of a four-valve cylinder head on the 650cc lario of 1984, but the bike lost the fine looks and balance of the v50 monza. 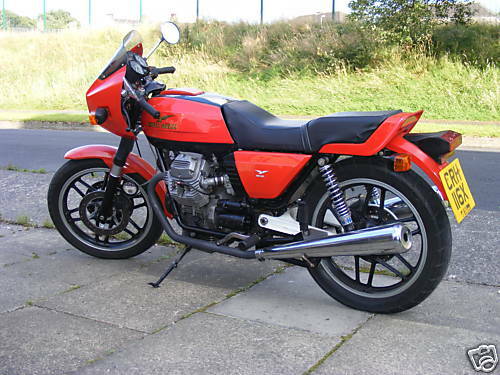 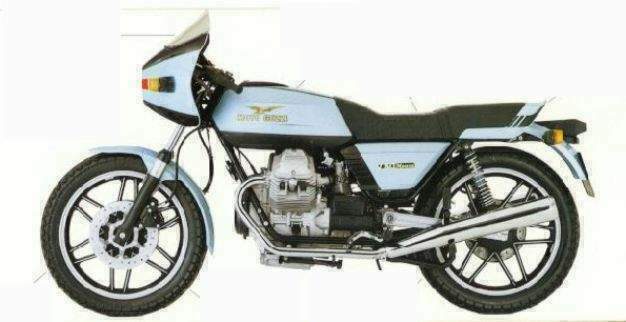 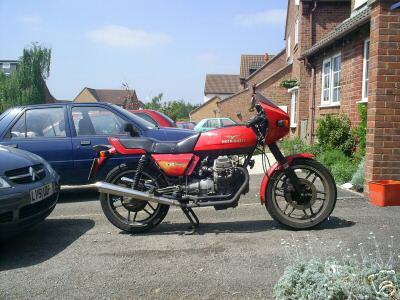 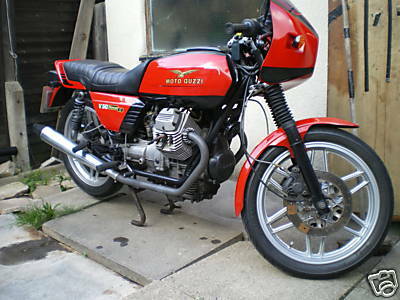 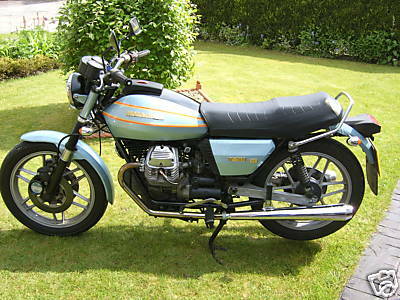 Moto Guzzi Ex Italian Police.